Egerton Park suffered a big blow to their County League promotion hopes as they collapsed to defeat against Billesdon on Saturday. 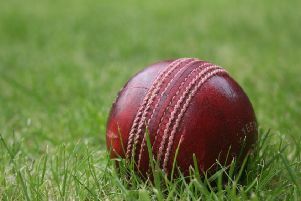 The 43-run home defeat saw them slip 15 points behind second-placed Hinckley Amateur in Division Two with one match to play, after the top two both won their penultimate fixtures. Billesdon started well having been put in, but once Tom Glover (2 for 45) made early inroads, Park gradually got on top. Rakesh Seecharan (4 for 45) and Nick Newman (3 for 21) tormented the middle order and tail, and the visitors were indebted to Chris Elliott whose knock of 64 would prove priceless as they stumbled to 139 all out inside 40 overs. Kamal Panchal (10) and Richard Bailey (20) gave Park a solid-enough start to the chase. But once they had both departed to Elliott (4 for 35), there was little resistance from the home side. Captain Charlie Madden (19) was the only other batsman to reach double figures as Luke Mitchell also took four wickets to skittle the hosts for 96, despite 38 extras. Park will need to win Saturday’s return fixture at Billesdon and hope Houghton and Thurnby can do them a favour against Hinckley. Thorpe’s outside chances of promotion were finally ended with a home defeat to Kirby Muxloe. The visitors racked up 264-6 from their 45 overs despite two wickets apiece from Richard garner and Myles Hickman, before being dismissed for 169 in reply. Thorpe drop below Kirby into fifth place going into the final round of matches. * Egerton Park Seconds continued their late-season winning form against a weakened Billesdon side in Division Seven East on Saturday. Batting first, Pedlar and Wade raced to a 48-run stand before Wade departed, but the rate increased again as Tyler smashed a rapid 50. Beeken and Bates kept up the momentum before Burdett and Lovegrove took over seeing Park to 321-8, their highest total of the season. Creed and Newton struck early in the hosts’ reply, but Stiff (85) and Wiggington (41) gave Billesdon hope. Park’s leading wicket-taker Wade, along with the returning Creed, cleaned up the tail to see the visitors to a comfortable 93-run win. Park: Pedlar 39, Wade 21, Tyler 50, Beeken 27, Burdett 54, Bates 37, Harris 3, Newton 3, Lovegrove 30*, Anderson 12*, Extras 42. Total: 321-8. Bowling: Creed 9-3-17-3; Anderson 1-0-10-0; Newton 7-1-45-3; Wade 6.3-0-28-3; Harris 5-1-33-0; Tyler 2-0-18-0; Beeken 3-0-28-0.